We returned from an 11-day Florida vacation yesterday and wasted no time diving right back into things. 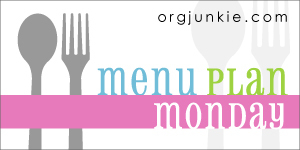 We have a super busy week as we get back into the swing of things and play catch up, but I've promised that are weeknight meals won't suffer. I'm recycling a meal plan from a few weeks ago since I didn't have time to plan one yesterday with a day full of travel. Monday - Ravioli with a brown butter and sage sauce. This pasta is so rich and decadent. Use as much or as little sage as you like. 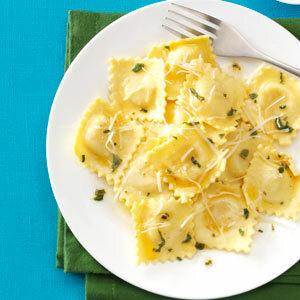 I like to use cheese ravioli, but this time of year a pumpkin ravioli would be absolutely delicious! 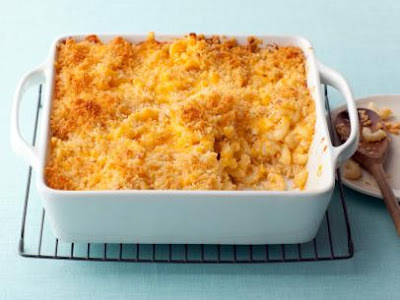 Wednesday - Homemade baked mac & cheese with a side salad. What I love about this meal is how easily I can customize the mac & cheese. I bake them in individual ramekins because Emma doesn't like the bread crumb topping, but Harper does. So, I can please everyone! 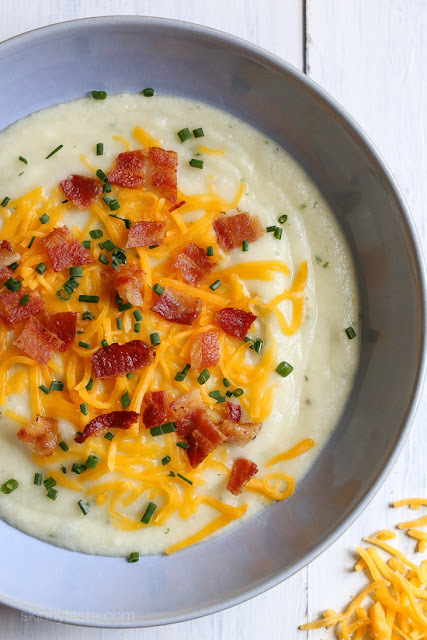 Thursday - Baked potato soup. This soup is one of my favorites, but this will be the first time I'm trying the Skinnytaste recipe. It's such a calorie-heavy soup, so I'm excited to try Gina's thinned down version. Saturday - Mexican shredded chicken tacos. 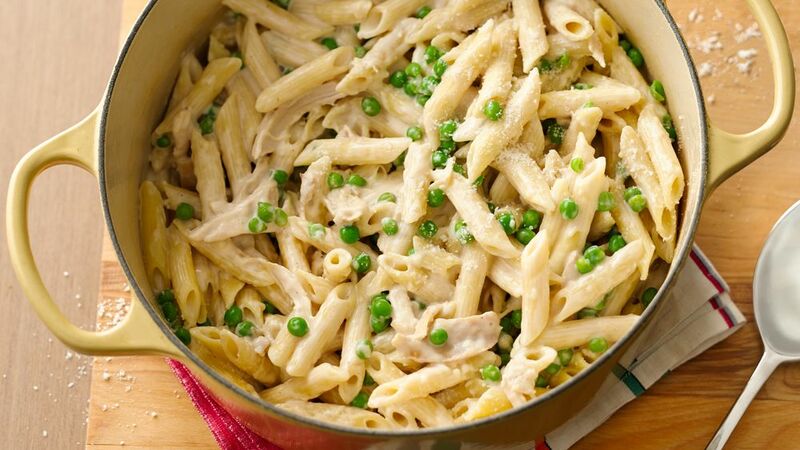 This recipe looks super easy. But if you are pressed for time, stop at the store and pick up a rotisserie chicken. 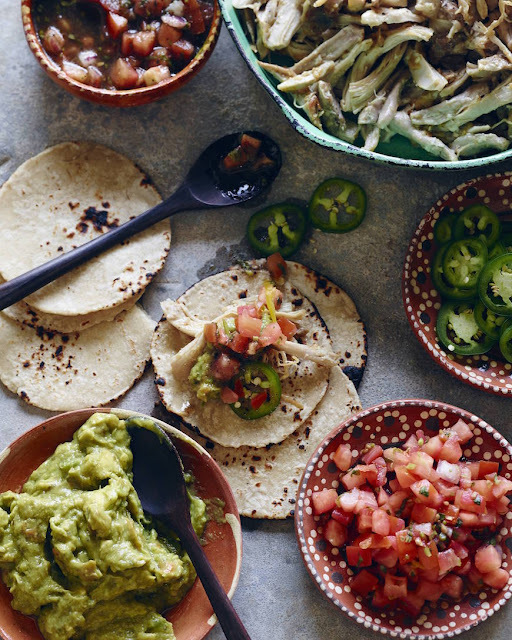 You'll shave even more time off the meal preparation! 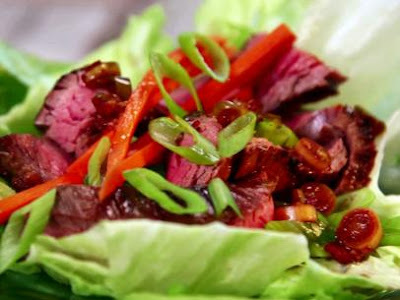 Sunday - Flank steak lettuce wraps. We are winding down grilling season with one of our favorites. Top them however you like, but we love scallions, red pepper, cilantro, shredded carrots, and teriyaki rice. I'm feeling a baking session coming on. These pumpkin snickerdoodle cookies are the perfect fall treat to enjoy with my evening tea!